Whenever bloggers or writers talk about Content writing services they are suggested to numerous writing platforms to apply for writing job or to hire writers. Mostly those people use freelance sites for their projects. Some of them provide good content and some of them provide copied/duplicate contents. Today, after a long research I am going to discuss a website ContentMart which provides best writing platform for both writers and clients. I ordered an article for one of my niche sites and the work I got was impressive. Then I made some searches in the google to know what other people are saying about this platform. I found so many good reviews and positive comments for ContentMart. I also found some good and authority blogs (ShoutMeLoud) have also reviewed this site and recommending their readers to use the marketplace of ContentMart. Then I decided to write a review on Tips2secure and let know my readers also about this best content writing platform. ContentMart is a marketplace which provides the platform from where you can hire qualified writers for any writing job. It is the best option for the writers and for the people looking for writing jobs. If you are a writer and looking for writing jobs then you can register on ContentMarket as Writer. Then after you can set your price, skills, experience, locality, languages you can write and other basic info in your profile. When any client hires you for work then you will get paid once your work is reviewed and approved by the client. Here client means the person who wants to hire someone to do his/her content writing projects. You can register as a client and post your requirement there. The other best option is there that you can search writers according to their work and rating and you can hire them. How to register your account in ContentMart? Registration in ContentMart is quite easy and it can be done within seconds. 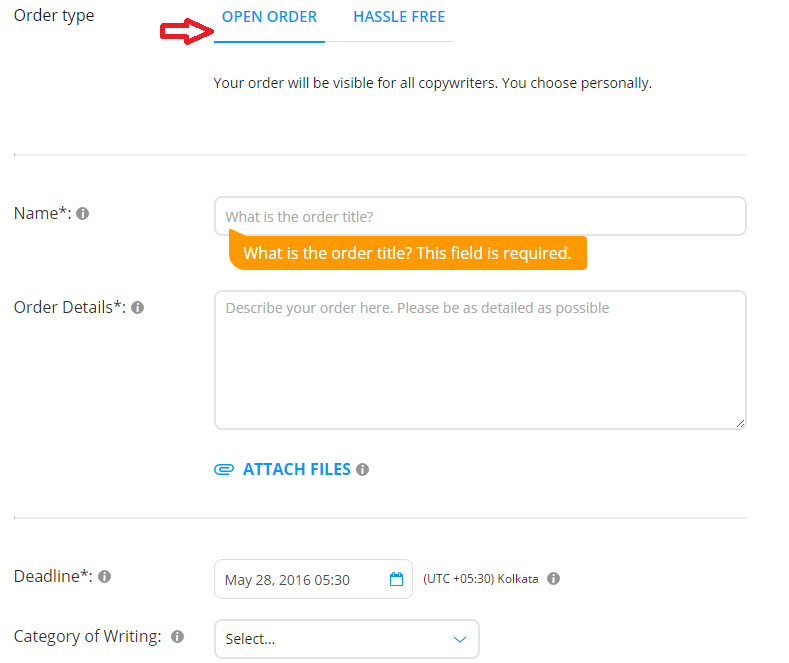 Here are the simple steps with screenshots that will help you in creating your account. 2. 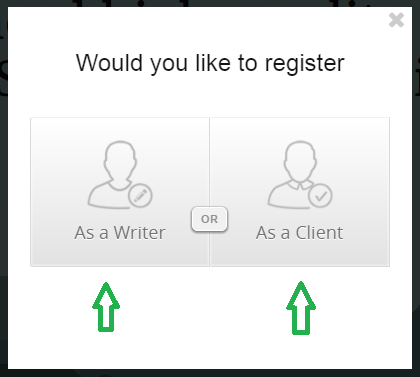 Click on "Register" button. 4. Enter your details and submit. 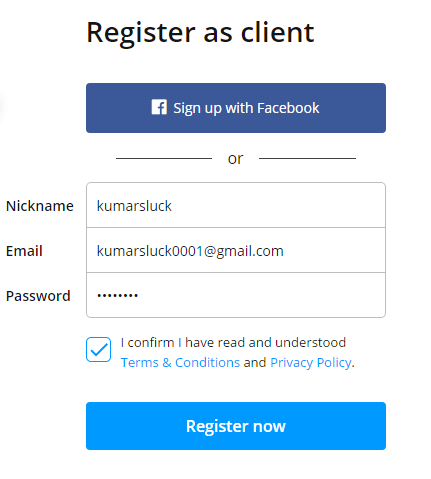 There is also an option to login using Facebook but I recommend you to creating your account using Email. 5. Verify your email address. 6. Login to your account and you can see&check your dashboard. 7. From the dashboard, you can easily post your requirements and offers. 8. Suppose you are a client and want to post your new order. Just click on "Add a new order" and you can enter your requirements. You can enter your requirements in the following format. If you do not want to post open order in above format then you can choose hassle free order. 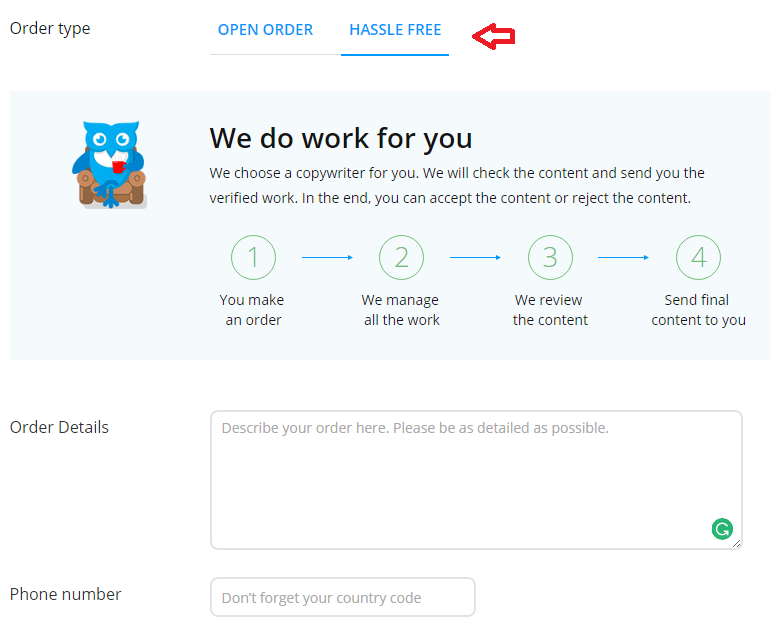 In this, ContentMart itself chooses a writer for your work, check the content written by the writer and then send it to you. At the end, you will have the option to review the work and take a decision to accept or reject that work. Yes, there is an affiliate program by ContentMart. You can get your referral link on your dashboard. If you refer someone to this content writing platform you will be rewarded by 10% commissions on all the orders made by your referral for 1 year. How is ContentMart better than other Content writing service providers? 1. Clients do not need to pay extra commissions for the projects. This website charges only 10% from the earnings amount of writers. 2. 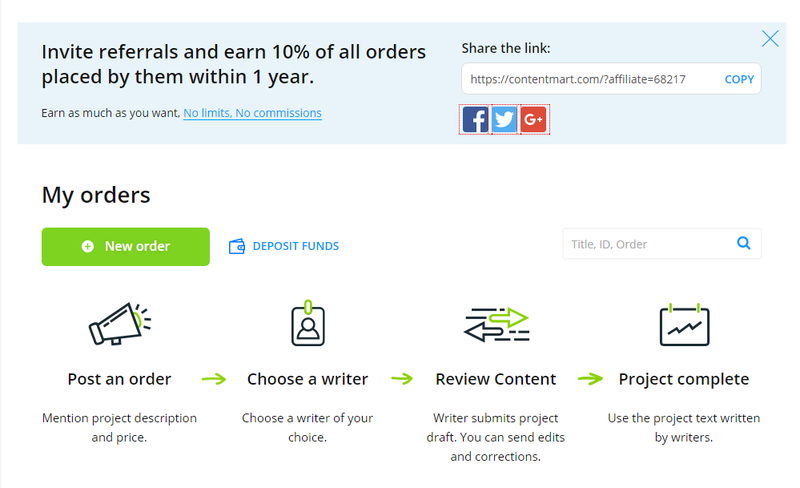 ContentMart allows weekly withdrawals for writers. 3. A Large number of quality writers. 4. Freedom to accept or reject the work. 5. Safe and secure billing system. 6. 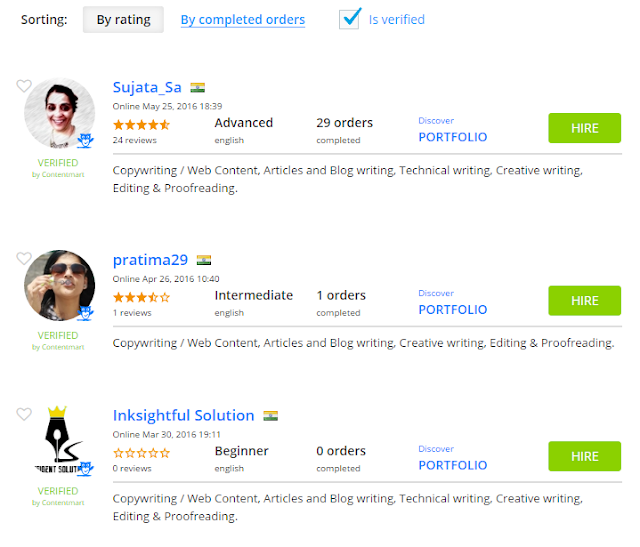 Clients can pay easily for the work to writers even in INR currency. If you are an Indian content writer and looking for writing jobs then you must give a try to ContentMart. Similarly, if you are an Indian client looking to hire a profession writer for your work then again I would recommend you to give a try to ContentMart once. If you do not feel satisfy then you can simply go for other websites but I know after using ContentMart once you won't need to go for any other service providers. Message: I hope that you have enjoyed 'ContentMart Review : Best Online Content Marketplace (For Writers and Clients)' article. However, if you want me to deliver more items, then please share my post. You can use Social Sharing Widget provided at the end of every post. After all, Sharing is Caring! I personally use the services of ContentMart for my blog and I am well satisfied with their services. 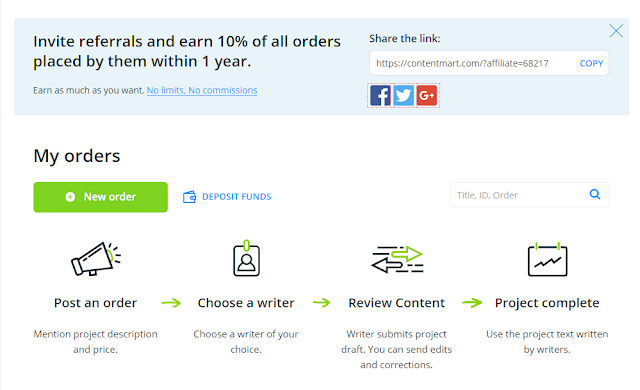 Contentmart review opens a lot of opportunity for avid writers, just make sure that once you sign up you'll use it to the fullest. For more tips a on writing check out help with discussion chapter in dissertation.